Hélène Vanel, Loïs Hutton and Margaret Morris: three dancers, artists and teachers who exemplify the early 20th-century avant-garde. Despite having fascinating stories to tell, and a wide circle of influential friends including Ezra Pound, Edith Sitwell and Charles Rennie Mackintosh, very little had been published about their lives – until now, that is. A newly released book titled Rhythm & Colour, extensively researched by art historian Richard Emerson, chronicles the biographies of Vanel, Hutton and Morris through rediscovered diary entries, letters, memoirs and photographs. Rhythm & Colour is a hefty volume, attesting to the richness of its subject matter. Through 28 chapters, Emerson comprehensively examines the women’s influence on Modernist performance and dance in the 1900s and beyond, alongside providing a titillating insight into their private lives. (Allusions are made toward a love triangle between the fellow dancers.) Additionally, we learn that Morris started her own theatre school on Chelsea’s King’s Road when she was just 22 years old, later moving the school to Devon, Wales and finally France, where she was to meet Hutton and Vanel. 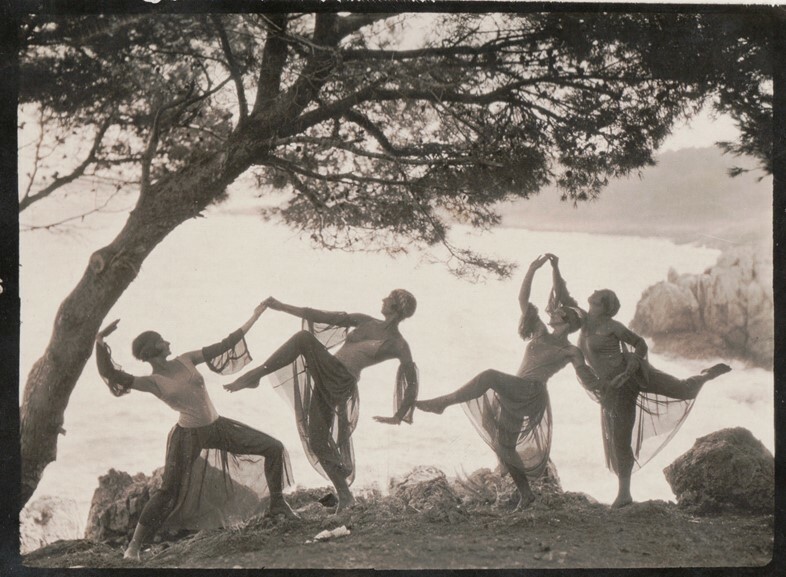 In 1923, the trio would begin the Margaret Morris Summer School in Antibes on the French Riviera, becoming an integral part of the bohemian society that was captured by F. Scott Fitzgerald in his 1934 novel Tender is The Night. 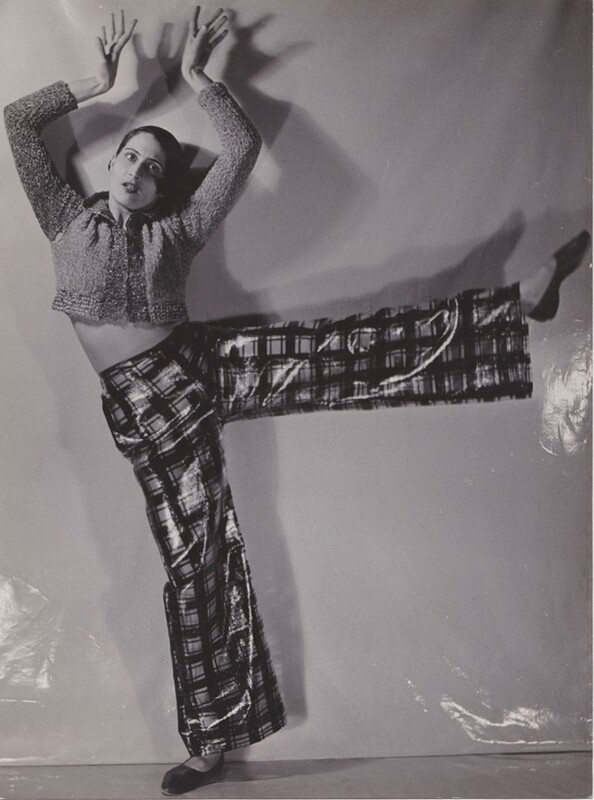 Vanel would go on to work with the likes of Pablo Picasso, André Breton and Salvador Dalí during the interwar years, eventually becoming a lecturer at the Louvre; during WW2, Morris founded the Scottish National Ballet. Hutton, however, was less fortunate – institutionalised for her mental illness in Harrow where she would remain until her dying day. Here, we present an extract from Hutton’s 1922 journal, featured in Rhythm & Colour; “A HAPHAZARD DIARY – NOT INTENDED FOR PUBLICATION,” as she had penned on the first page of the red exercise book. “This book is the PRIVATE property of Judy Sutton,” continued Hutton, using a nickname she had once been given as a cunning alias. “Return UN-READ to top-floor back, 1 Glebe Place, S.W.3.” From the below extract, we can understand why she would have wanted the piece of writing kept strictly confidential at the time. But fortunately, through Emerson’s respectful and sensitively written work, it wasn’t. The preface to this instalment will be found under ‘Sun: Jan: 29th’! But first there is the Club show to record. It was a very good show indeed + the longest programme there has ever been – 12 dances – +, of course, it was ‘fuller than usual’. It is a wonder the building doesn’t collapse at that end! ‘June and Betty’ [June Radbourne and Betty Beasley] danced awfully well + the Russian Peasant dance produced chaotic applause. The lighting effects were even better than usual, with two extra box lamps for Margaret’s two dances. Emily was very good with the front lamp + all the helpers were helpful. Boonie turned up all right with a ’cello + had a run through just before the show began. There were 26 people taking part, altogether in the dances, + 2 pianists, 1 cellist, 1 piper (Hélène Vanel!) + 3 singers! Margaret was frightfully upset after the Golden Idol dance because she thought she had not done it well, etc – she said she had actually had stage fright! The truth is, that if she did not do it as well as usual, it was entirely due to the fact that she was thoroughly over-tired from having done nearly all my work as well as her own, + also extra exams: + things + late rehearsals all this week. I do hope she gets a good rest at Harlech. She had heaps of flowers – more than ever before + a box of chocolates, + , from me, a small bottle of bath salts. The dance afterwards was more enjoyable than the last few have been. Hugh + Angus played after the band had gone, + who should turn up quite late but Léon!!!! Fergus dragged him off the stairs + Margaret gave him a stiff drink in the dressing-room to give him courage – + he actually danced with Mrs Morrison! We had a late song + story party in Margaret’s dressingroom till after 4am – Margaret + Fergus, + me + Léon, + Wyndham Lewis + another artist, + 2 women, + a father of one of the Montessori boys (!!) who sang the most marvellous songs. To look at him you would never suspect he had a sense of humour at all! He has close-cropped hair like a convict – so has his small son. Forgot to say that I got Dorothy up for the show to sell programmes. On Thurs: I suddenly remembered a ‘contract’ I had made her sign on Feb:20th: coming up in the train, so sent her an urgent p.c. I think she enjoyed herself, though she doesn’t dance. She sold 40 programmes, so certainly earned her living. She slept in the office at Glebe Place. And, of course, it was this very night I chose to entertain a man in my room for the first time! Luckily it was about 4.30am so the rest of the establishment were pretty sound asleep. I took my shoes off to go upstairs so that it only sounded like one person + we were very careful not to talk above a whisper. He made me sit perched up on my bed (which is rather high, having 2 mattresses on top of it) while he peeled off the few garments I had on. (I was relieved that I had changed my woven knickers for silk ones at the theatre!) Then we lowered the top mattress with the bedclothes onto the floor, because the camp bed itself made such an awful squawking noise with every movement + then he put out the light before shedding his own coat + waistcoat. We had quite an amusing time, though I am still not much use to anyone, + it would have been much better if he had taken everything off --- not only from my point of view, but because he got himself absolutely smothered in white from the wet white on my legs! I lent him a clothes brush + comb before he departed + piloted him to the front door to prevent him from slamming it – + of course he ran down the steps outside as noisily as anything! The above extract has been published as written in Loïs Hutton’s diary. Rhythm & Colour is out now published by Cornerhouse.